The Lemonade Project is officially up and running! 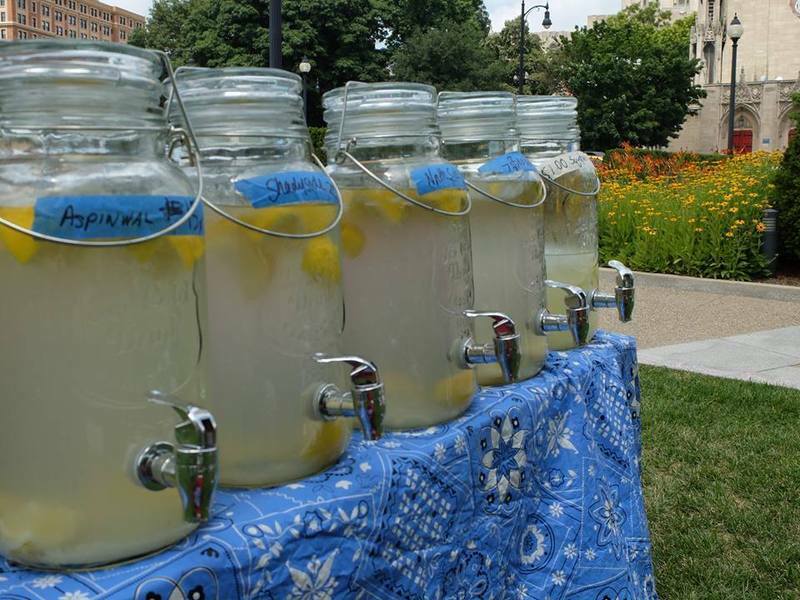 The Lemonade Project enlightens and empowers youth through the use of science, art and activism. Using the CATTfish digital apparatus to measure water quality, 7-10 years olds will test the drinking water. Then they’ll publicize their findings in neighborhood “lemonade stands” to inspire concern about pollution in our water. Therefore, these are no ordinary lemonade stands! These kids have evaluated the water from various socio-economical regions (including their own) and the pricing of the lemonade will be set accordingly. Carafes of lemonade organized by regions (similar to wine), will be on display as a teach tool. Naïve passerbys who come to support a child’s financial endeavor—will instead receive a lecture on the environmental state of our neighborhoods! We have set up sites in downtown Pittsburgh for the Three Rivers Arts Festival – plus run workshops via The Alloy School in East Liberty and through the Earth Vessel Camp in Friendship. Look for us out in the streets, in front of museums and in the city parks!